Liptay, Fabienne. Telling Images. Studien zur Bildlichkeit des Films. Zürich/Berlin: diaphanes, 2016. What is the image to the narrative in film art? A good friend who provides support by visualizing the unfolding story? A bitter rival struggling for its own right to just be “art” without showing any regard for the narrative? In Telling Images Fabienne Liptay demonstrates by means of an interdisciplinary analysis of contemporary films that the relationship between moving image and filmic narration might not always be easy but can be productively renegotiated. Drawing on theoretical discourses in film studies, art theory, and history as well as narratology, the author shows, by means of filmic examples beyond classical Hollywood cinema, how the moving image may not only cooperate with storytelling strategies but also stake claim to aesthetic independence. Hollywood-style blockbuster cinema has been setting the aesthetic and narrative norms for filmmaking for over a hundred years. Closely related to ideas derived from structuralist narratology, continuity editing, linear storytelling, and the organization of the plot according to cause-and-effect chains have been the dominant strategies of most commercially successful films presenting their narratives to the movie-going public. These storytelling techniques are not only accompanied by claims of aesthetic realism and representations of truth that seem to tag along after most well-established filmic conventions, but are also based on the traditional poetical notion of a hierarchical relationship between image and narration. Fortunately, Fabienne Liptay sets out to set the image – not quite literally – straight in her publication Telling Images: Studien zur Bildlichkeit des Films. By means of an interdisciplinary approach that focuses on insights from film studies, art theory, and history as well as narratology, she dares to question the conventional storytelling sentiment of prioritizing the plot over the means of representation – “das Primat des Plots in der Dichtung” (260) – that is firmly embraced by Hollywood-style cinema. She furthermore challenges the persistent notion that it is the primary objective of the (moving) image to produce meaning that relates to, explains, or supports the narrative and, therewith, enhances the audience’s understanding of the story told. While it is not her intention to liberate the image entirely from any narrative relations, she recognizes the impossibility of such an endeavor, and convincingly argues for the necessity of renegotiating this uneasy relationship between storytelling and its aesthetic visualization in film. Liptay successfully manages to navigate her way through previous art- and media-theory discourses via this strategy of considering the image as a narrative tool. At the same time, she demonstrates in her own exploration of the topic that the image is not to be understood in this manner alone nor should it be mistaken as congruent with the narration: “die Bilder und die Erzählungen im Film [sind] nicht identisch” (224). Instead the image is, significantly, presented as commanding a degree of aesthetic autonomy that coequals the filmic narrative in importance. Liptay’s reconsiderations are based on individual studies of aesthetic strategies in films that defy fitting the image into conventional narrative processes of visual meaning-making. Whether it is by the modest means of a close-up of a coffee cup that lasts a little too long on screen to be easily adjusted to the story told (chapter 3); or the intentional foregrounding of style through the more radical staging of a material film tear that seems to literally occur during the movie (chapter 8), Liptay finds strong proof for her argument that movies such as The Diving Bell and the Butterfly (2007), Waltz with Bashir (2008), and The Limits of Control (2009) still know how to resist, defy or subvert the limits of linear storytelling and causal logic. Interestingly, the publication itself seems to follow this credo and evades constructing a story arch that would tell the reader ‘the whole story’ about images and narrative from beginning to end. Instead Liptay wants her chapters to be understood as stand-alones, “individuelle Konstellationen von theoretischen Begriffen und ästhetischen Gegenständen” (22). She creates them as self-contained fragments, each concerned with a different topic and film and that could be read in any order. Similarly interesting are Liptay’s thoughts on The Limits of Control (2009) in the chapter entitled “Bildwürdige Bilder.” Here, the author discusses resistant images – “einen ästhetischen Widerstand […], der sich nicht mehr problemlos in die wertschaffende Ordnung einer Erzählung einfügen lässt” (188) – using for her argument the filmic introduction of images that are difficult to interpret in terms of their meaning for the narrative. For that reason, they demonstrate an attempt to democratize the showing of objects on screen: “die Nivellierung repräsentativer Hierarchien” (196). Of particular insight and strength seems her argument that, against intuitive notions, it is a notable accomplishment of films to achieve this effect – “die Idee einer demokratischen Kamera [stellt] für den Film eine noch größere Herausforderung dar[…] als für die Fotografie” (200) – exactly because of the assumed accessibility of narrative meaning through onscreen visualization. Telling Images is a fascinating, valuable, and long overdue contribution to the close exploration of the asymmetrical relationship between film aesthetics and film narratives, as it tackles filmic strategies of visual resistance to the traditional storytelling regime. The publication is especially exemplary and convincing in its interdisciplinary approach towards film style and the creation of connections between film and art discourses that are often forgotten in media-studies oriented research. The only point of possible criticism could be that Liptay’s strategy of drawing on aesthetic discourses derived from art theory and history – such as the tenacious constraints of naturalism that limited the fine arts for a long time to a specific manner of representation – at times seems to treat the analysed frames as still-lives on screen. The individual chapters might have benefited from a more extensive discussion of the specificities of moving images in filmic representation. The publication makes up for this by, despite copyright issues lurking around every corner, laudably having gone through the trouble of providing color photographs and stills from the analysed movies, which greatly enhance the understanding of the argument. This book will be a pleasure to read for everyone interested in film studies and is warmly recommended to all of those who still need to be convinced of the art of the moving image. Liptay, Fabienne. Telling Images. Studien zur Bildlichkeit des Films. Zürich/Berlin: diaphanes, 2016. 360 Seiten, broschiert, 35 Euro. ISBN: 978-3-03734-635-8. Wie gestaltet sich die Beziehung zwischen Bild und Narrativ in der Filmkunst? Handelt es sich beim filmischen Bild um einen guten Freund, der lediglich die Erzählung vorantreibt? Oder ist das Bild ein bitterer Rivale, welcher um künstlerische Autonomie kämpft ohne Rücksicht auf narrative Verluste? 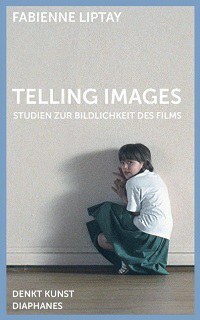 Fabienne Liptay zeigt in Telling Images mit interdisziplinären Studien kontemporärer Filme, dass die Beziehung zwischen dem bewegten Bild und der filmischen Erzählung nicht immer einfach ist, aber neu verhandelt werden sollte. Unter Einbezug theoretischer Diskurse aus der Filmwissenschaft, der Kunsttheorie und Kunstgeschichte sowie der Narratologie zeigt die Autorin anhand von filmischen Beispielen abseits vom klassischen Hollywood Kino, wie bewegte Bilder nicht nur mit Erzählstrategien kooperieren sondern auch Ansprüche auf ästhetische Autonomie erheben.